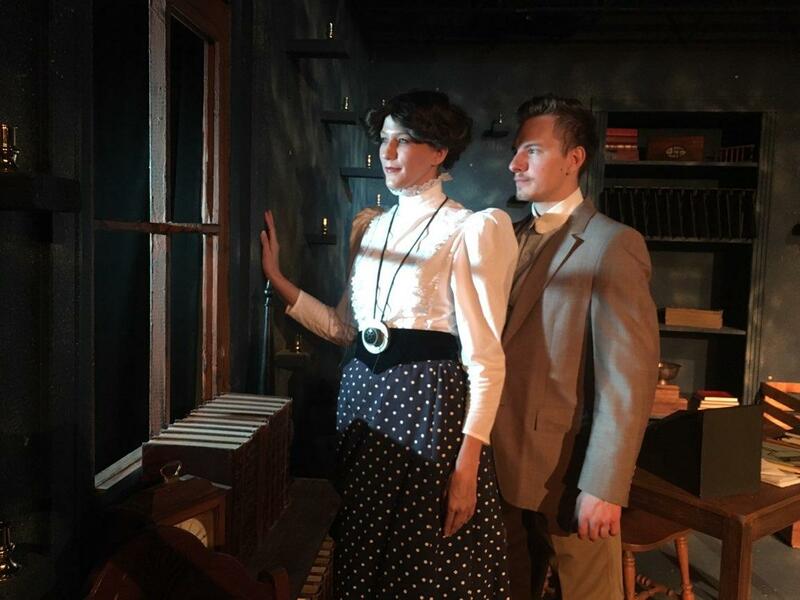 Duncanville Community Theatre opens “Silent Sky,” written by Lauren Gunderson and directed by Kevin Paris, this week. Performances start at 8 p.m. Thursday-Saturday at 106 S. Main Street in Duncanville. The historic play focuses on the story of a real-life but little-known American astronomer, Henrietta Swan Leavitt. According to Wikipedia, Leavitt (July 4, 1868 – December 12, 1921) was a scientist who discovered the relation between the luminosity and the period of Cepheid variable stars. After her graduation from Radcliffe College, Leavitt started work at the Harvard College Observatory in 1893. Her job title was “computer,” as she examined photographic plates in order to measure and catalog the brightness of the stars. While she received little or no recognition during her lifetime, Leavitt’s discovery was the first to allow astronomers to measure the distance between the earth and faraway galaxies. The acclaimed accomplishments of American astronaut Edwin Hubble, who established the fact that the universe is expanding, were also made possible by Leavitt’s groundbreaking research. Hubble said that she deserved the Nobel Prize for her work. Her discovery of a way to accurately measure distances on an inter-galactic scale paved the way for modern astronomy’s understanding of the structure and scale of the universe. Gunderson’s drama shows how Leavitt measured not only the light and distance of the stars, but also her accepted role in the early 1900s scientific universe. Thanks to Leavitt and her peers, we now have a much greater understanding of both the heavens and the earth. Tickets to attend “Silent Sky” performances on Thursday night are $13, while tickets for Friday and Saturday night performances are $15. For reservations, call 972-780-5707 or email boxoffice@dctheatre.org. Duncanville Community Theatre Director Amy Jackson says they have several other interesting plays on their 2018-2019 season. Next after “Silent Sky” is “Butterscotch,” written by Barbara L. Smith and directed by Heather Winkelman (Nov. 8-10 and 15-17); “You Can’t Get There From Here,” written by Pat Cook and directed by Amy Jackson (Feb. 7-9 and 14-16); and “Scotland Road,” written by Jeffrey Hatcher and directed by Dawn McCallum, (March 21-23 and 28-30). Duncanville Community Theatre’s spring musical production will be “Beehive – The 60s Musical,” created by Larry Gallagher and directed by Elisa Guse (May 9-11 and 16-18).